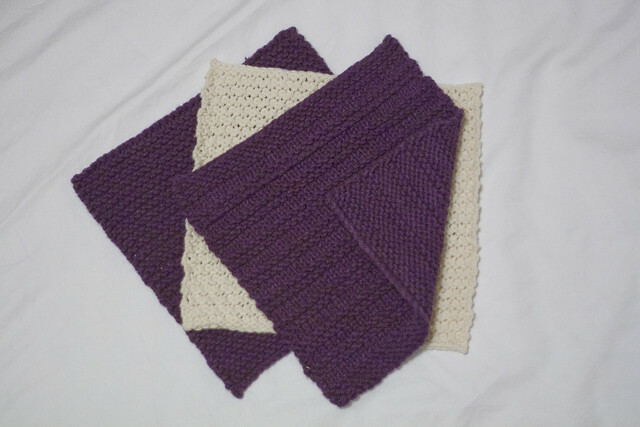 Pattern: by Megan Goodacre, available on Ravelry. Made For: Kelly and Ryan’s twins, due at the end of February. 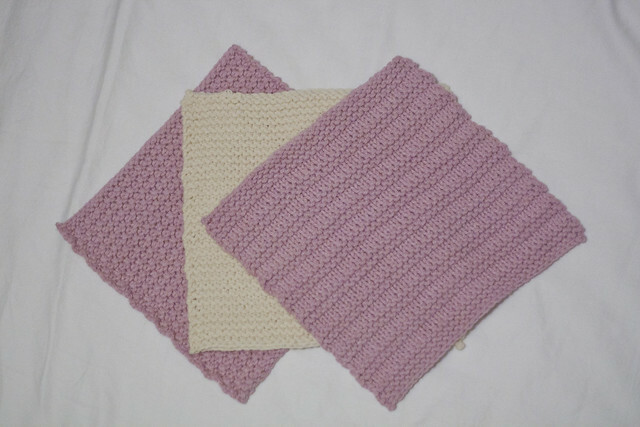 There are four different stitch patterns in this set, but I only made three: the garter stitch washcloth, the garter stitch stripe washcloth, and the seed stitch washcloth. 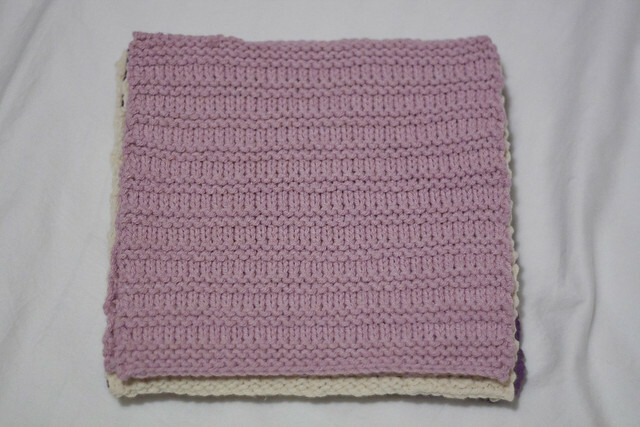 I also increased the number of stitches I cast on from 24 to 36 and blocked each washcloth to 8″x8″. I knit two at a time on one of the DPNs I had just used for the OpArt Blanket. These were a quick project and I’m super proud that I didn’t mess anything up along the way! 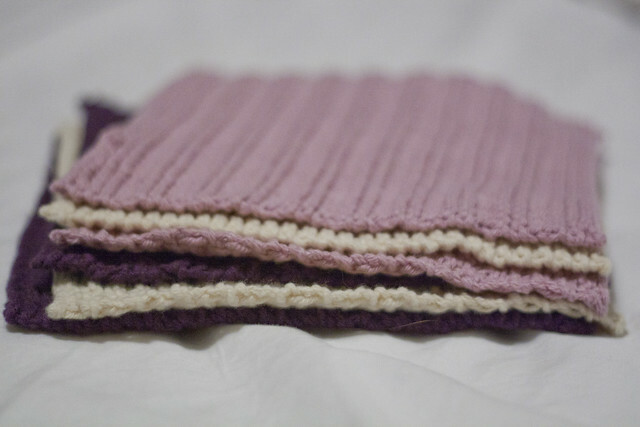 No dropped stitches, no ripping back… I feel like I’m becoming a real knitter with all of my projects lately. Side story: Kelly is a coworker of mine, and her baby shower at work was last Tuesday, the 18th. I knit frantically the entire weekend beforehand (even working on the garter stitch washcloths during the Golden Globes, which I watched with friends — knitting a certain number of rows earned me another cracker with cheese, yum). 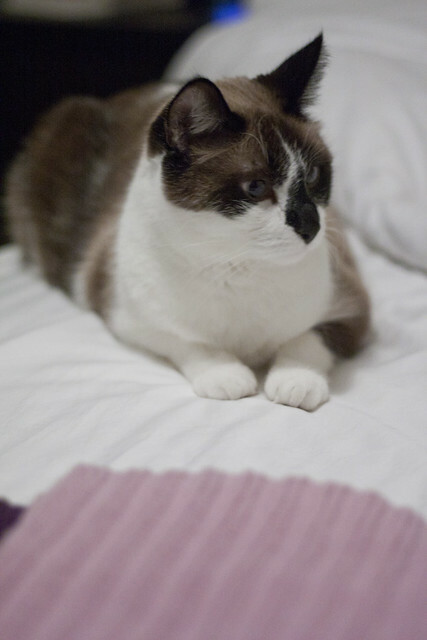 I was barely a third of the way through the seed stitch washcloths by the end of that Monday. 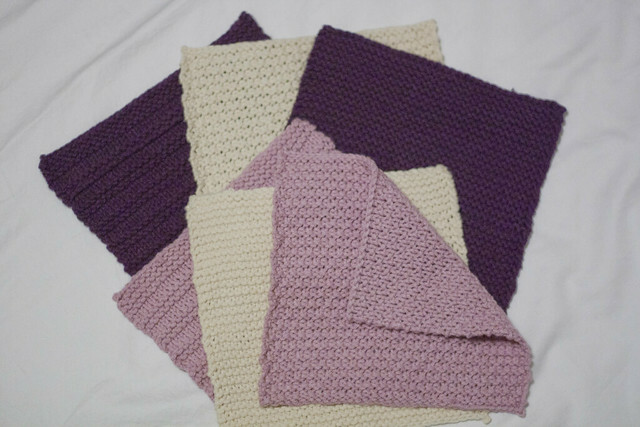 I thought about bringing a few finished washcloths the next day, but ultimately decided to just bring a “teaser” gift and make sure I really finished the washcloths (blocking and all). The next morning, before heading in to work, I stopped at Walgreen’s and picked up bubble bath and what I thought was a bath toy. Turned out, the “bath toys” were teething rings, so I felt lame when she opened my seemingly weird gift. I really wanted to tell everyone, “no, no! There’s something much cooler that I wanted to bring but couldn’t finish in time!” But I just sat back and rolled my eyes at myself. Note to self: do not buy gifts before the morning caffeine kicks in. View more details on Ravelry.